New York State Department of Health classes located in Nassau County, Suffolk County Long Island, Manhattan, Bronx, Queens, Staten Island and Brooklyn NY. We teach Lifeguarding, Water Safety Instructor (WSI), Waterfront Lifeguarding, CPR for the Professional Rescuer, First Aid, Wilderness First Aid, Lifeguard Management in person testing. All our Lifeguard Training classes are in New York. As a lifeguard, you are entrusted with a life of another person. You have to be extremely responsible, attentive, and patient. If you are interested to be a lifeguard, the lifeguard job description is stated below. Being a lifeguard has a minimum requirement, it needs less than 6 months to a year of experience that is directly related to the duties and responsibilities specified. The applicant must have a certificate for cardiopulmonary resuscitation (CPR), and a current certificate as a lifeguard recognized by his or her source of training. Most lifeguards have a salary around $10 to $16 per hour, depending on their level of experience. They work less than 40 hours per week which could include weekends, evenings, and public holidays. Some pool lifeguards gain swimming teaching or coaching qualifications and can offer swimming lessons. Learn more why you should take the New York State Department of Health Waterfront Lifeguarding class. New York State Department of Health offers a lifeguard training class, a certificate will be given after the lifeguard training. Their training course includes hands-on skills and comprehension of written tests. Some pool lifeguards gain swimming teaching or coaching qualifications and can offer swimming lessons. Learn more why take waterfront lifeguarding. We offer a lifeguard training class, a certificate will be given after the lifeguard class. This training course includes hands-on skills and comprehension of written tests. The participant must be at least 15 years old by the last day of class. The participant must pass a pre-course swimming skills test prior to applying for lifeguarding courses. The given certificate includes First Aid, CPR and AED training. The certificate is valid for two (2) years upon completion, and it is accepted nationwide. Learn more about the benefits of knowing CPR/AED for the professional rescuer and the reason why you should learn First Aid. We also offer waterfront lifeguarding, a certificate will then be given after the training. The training includes online training sessions, hands-on skills, and comprehension of test skills. Learn more about the waterfront lifeguarding description. A waterfront lifeguard incorporates both the skills of lifeguarding with the waterfront skills module. 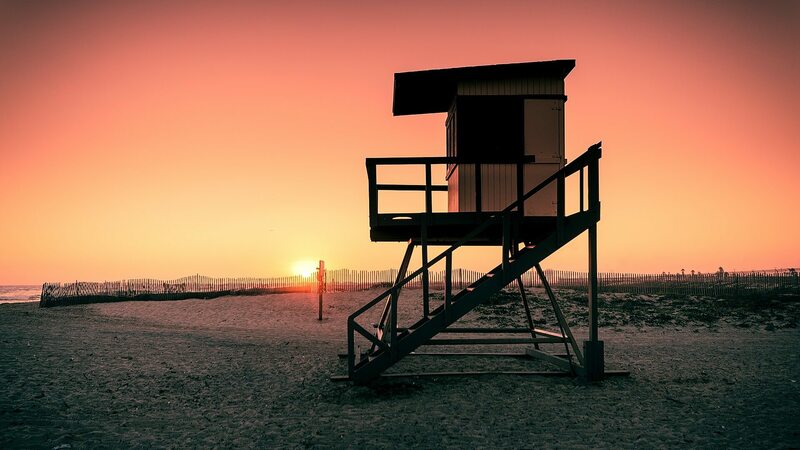 It teaches the lifeguards the appropriate skills and knowledge that is needed to prevent and respond to emergencies in non-surf, open-water areas that are located at the public parks, resorts, summer camps, and campgrounds. 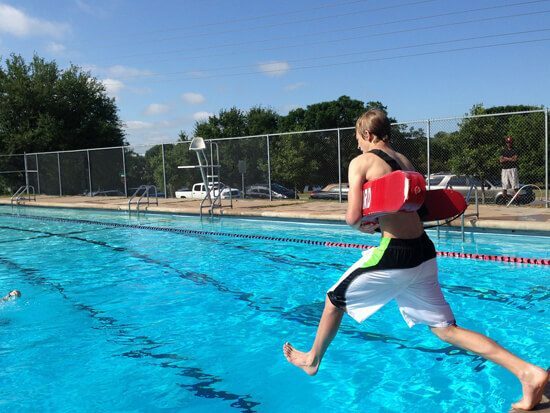 The participant must bring a proof or certification of current Lifeguard, First Aid, CPR or AED training. Swim 500 yards using front crawl or breaststroke, and demonstrates breath control and rhythmic breathing. Tread water for 2 minutes using only the legs. The participants should place their hands under their armpits. Retrieve a 10-lb dive weight from 7-feet deep, surface and swim 20 yards with the weight, using legs only and exit the pool within 100 seconds. Just like the lifeguard certificate, the certificate of waterfront lifeguarding lasts for two (2) years. Click here to learn more about the benefits of this certification. the safety of patrons in the event of an emergency. until the emergency medical services arrive. attitude at all times and maintains a high standard of customer service. maintain a clean and safe facility. The lifeguard must prepare and maintain appropriate activity reports. Water safety instructors teach students skills and water safety precautions in swimming according to the curriculum and standards. Let us know more about the water safety instructor description below. The primary and overall responsibility of a water safety instructor is to provide service in a pleasant, helpful, and effective manner to their prospective students. 1. Arrives at the pool 15 minutes prior to the start of work. 2. Teach infant, preschool, school age, and adult learn to swim, water safety and aquatic specialty classes for the department. 3. Be creative, enthusiastic and stimulate the students to learn by using a variety of skills and techniques. 4. Maintains their own safety and the safety of their students. A water safety instructor must have a certificate from a recognized organization, such as New York State Department of Health or YMCA. He or she must hold a current First Aid, CPR, AED, Lifeguard training certificates. Knows how to handle the responsibility. It is their duty to respond quickly and efficiently to the breathing and cardiac emergencies, below are the CPR for the Professional Rescuer Description. Professional rescuers include the police department, fire department, Emergency Medical Services, lifeguards, flight crews, nurses and other healthcare professionals. They are duty-bound to assist in the best way they can in an emergency situation. Cardiopulmonary resuscitation or CPR is a combination of chest compressions and rescue breathing. It is given to maintain perfusion to the victim’s vital organs while attempts are made to restore spontaneous breathing and cardiac rhythm. Learn more about the benefits of knowing CPR. Basic Life Support training reinforces these healthcare professionals to further understand the importance of early CPR and defibrillation, basic steps on how to perform cardiopulmonary resuscitation, to relieve choking, and to utilize an Automated External Defibrillator. The course teaches the professional rescuer to respond to breathing and cardiac emergencies in adults, children, and infants, an emergency. Other than that, they are taught how to recognize a life-threatening emergency, and how to provide the basic life support in the case of an airway obstruction or choking. Learn more about First Aid and CPR, and who will benefit from it. Accidents and emergency situations are unpredictable. Most people ask the questions, ‘why learn first aid?’ and ‘who will benefit from it?’, below is the first aid description. This may be unpleasant to utter, but accidents and emergency situations are completely preventable or unavoidable. It might be just around the corner. If an accident happens in the workplace, in your home, or in a public area, you can help those who are helpless. This can alleviate the situation. First aid is the assistance given by a certified provider to any person suffering from a sudden illness or injury. The goal of providing first aid is to preserve life, to prevent the condition from worsening, and to promote recovery. 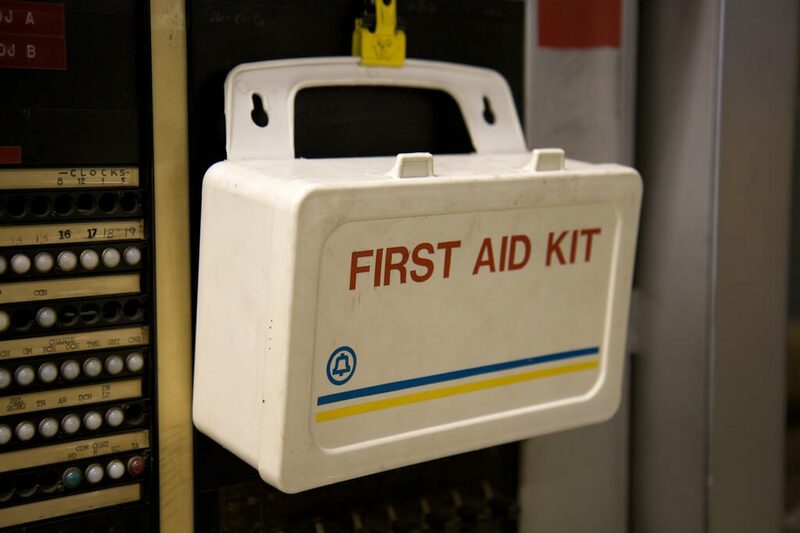 First aid providers are trained to identify and eliminate potentially hazardous materials in the environment, they are trained to recognize emergencies and make appropriate and quick decisions for first aid care amidst an emergency situation. After two (2) years of validity, your lifeguard certificate needs a renewal. The things that you should take note is discussed below in the lifeguard recertification description. Swim 300 yards nonstop. First 100 yards is freestyle with a supportive kick and rotary breathing. Second 100 yards is a face in the water, breaststroke with a pull-breath-kick-glide motion. The last 100 yards is freestyle or breaststroke. The participant should swim 20 yards to retrieve a 10-pound object from 7 feet deep and resurface to the starting position within 100 seconds. The participant should tread water for 2 minutes with their hands placed underneath their armpits, they should keep their heads clear off the water in a manner that allows for a comfortable breathing. Please be certain that you know who should take this class. 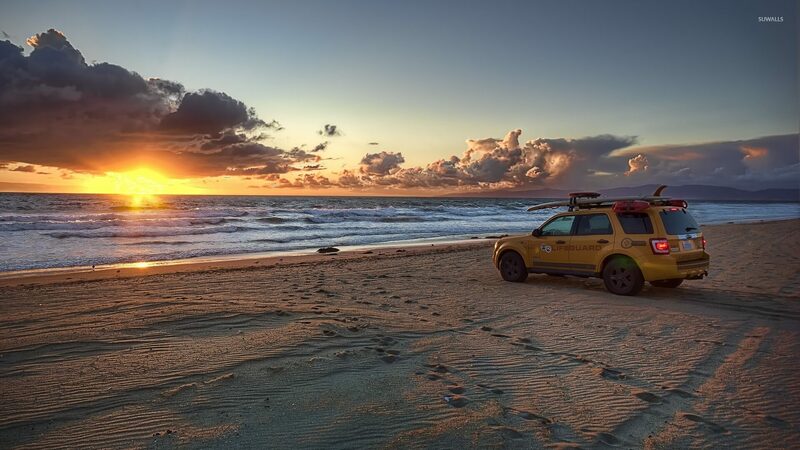 Provide your proof of current lifeguarding, first aid and CPR/AED for the Professional Rescuer certification, or those who have not expired by more than 30 days. We offer you our available courses: lifeguarding, aquatic instructor training, safety training for swim coaches, and more that is why to take our class. Come on in, the water is always great. 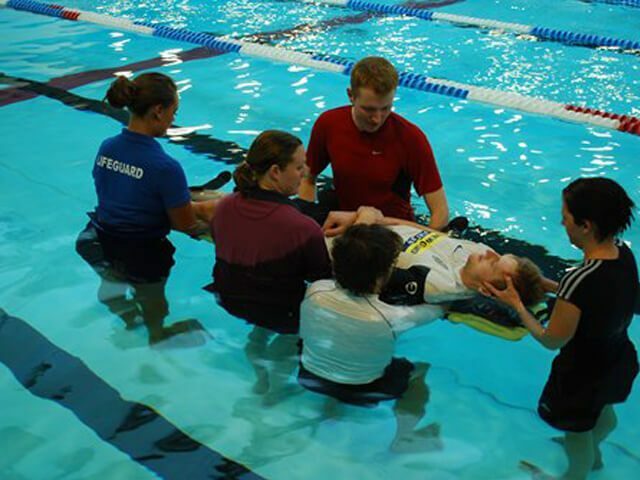 These courses are designed to teach lifeguards and other professional rescuers, the appropriate skills needed to prevent injuries, prepare for and respond appropriately to drowning, injury, breathing, and cardiac emergencies. Lifeguarding and water safety courses are available all year round. We have trained professionals who can aid you gain the skills, knowledge, and confidence that are necessary for emergency response. Through our offered range of training throughout the year, you can get a certificate or earn a recertification with a two (2) years validity. Participants for lifeguarding and water safety must be at least 15 years old by the last day of class, and the participant should pass the pre-course swimming skills test prior to taking the courses. To those who need recertification for their current lifeguard certifications, there are courses available. Once the participant is already enrolled, they will receive the latest science-based training from experienced instructors. Classroom materials are available to borrow during the course at no additional charge. Moreover, course manuals are available for purchase and are free in digital format. Attend and participate in all class sessions, without any absences. Demonstrate competency in all required skills, activities, and final rescue skill scenarios. The participant should pass the CPR/AED for the Professional Rescuer, First Aid and Lifeguarding Skills with a minimum grade of 80 percent. Certificates will be given within a certain period of time after the course completion. The certificates will be valid for two (2) years. Learn more about the benefits of this certification. If you are fond of swimming or doing activities on open waters, or even at a pool, you should know the importance of taking swimming lessons. Learn more about swimming lessons and why it’s important. Swimming is a life skill. Alongside with that, it is a great exercise, it can help you build endurance and muscles. You can take swimming lessons at an indoor or outdoor pool, and you can learn at any age. Instruction ranges from beginner, intermediate, or advanced skills. Participants are introduced to water and aquatic skills, stroke development, improvement and refinement, and swimming and skill proficiency. When you learn how to swim, it prevents you from the risk of drowning. Drowning is one of the most common accidental death. Swimming can make your child’s heart and lungs healthy, improves strength and flexibility, increases stamina and improves balance and posture. Swimming can help improve your confidence. Swimming can give you opportunities to do and enjoy other activities, such as kayaking, canoeing, scuba diving, surfing, triathlon, and yachting. Swimming once it is learned, it can never be forgotten. Learn to swim, it might save your life one day.